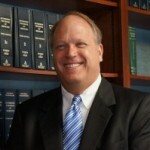 Firm News Archives - The Armstrong Law Firm, P.A. Congratulations to Lamar Armstrong, Jr., who was recently selected by her peers for inclusion in The Best Lawyers in America© 2016 in the field of Insurance Law! Since it was first published in 1983, Best Lawyers® has become universally regarded as the definitive guide to legal excellence. Best Lawyers lists"..."
Read here for Marcia Armstrong recognized for 2013 Women of Justice Award. Picture of Attorney Marcia Armstrong in Swaziland. Armstrong & Armstrong, P.A. Rebranded The Armstrong Law Firm, P.A. As of August 2013, Armstrong & Armstrong, PA has officially changed its name to The Armstrong Law Firm, PA. The name change comes as a result of Lamar Armstrong, III (Marcia and Lamar’s son) joining the firm. Armstrong & Armstrong opened its doors in 1983 and has been doing business"..."
Lamar Armstrong, III Comes Home to Join The Armstrong Law Firm, P.A. In May 2013, Lamar Armstrong, III moved back to Johnston County and joined The Armstrong Law Firm, P.A. Lamar III (known around the office as “L3”) is the oldest son of ALF owners Lamar, Jr. (“L2”) and Marcia Armstrong. L3 went to UNC-Chapel Hill for his undergraduate studies and Wake"..."